Shape Up! 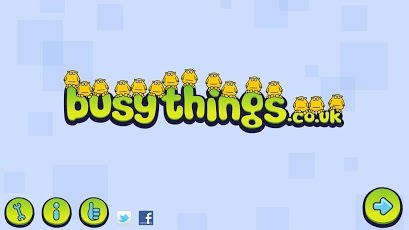 busythings is a fun and colourful app that requires children to trace and colour in shapes in order to make pictures, which then come alive. Shape Up! introduces young children to simple shapes of different colours and sizes. The game encourages children to describe and name shapes through exploration and play. Trace the shapes and the creatures will come alive! Shape Up! 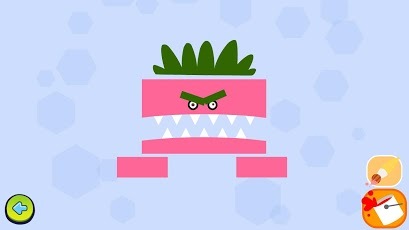 is a shape game designed for very young children, but parents and older children will love it too! Simply trace around the simple shapes or use the paint bucket to fill them in. Once you have finished your creation will come to life! The rewarding animations and sound effects will ensure that children want to play again and again. Shape Up! introduces simple shapes of different colours and sizes to young children. 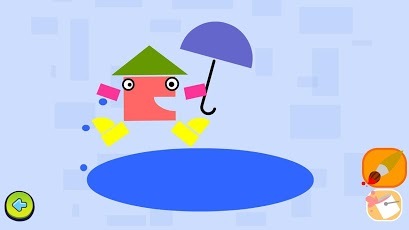 The game encourages children to describe and name shapes as well as show curiosity about them.